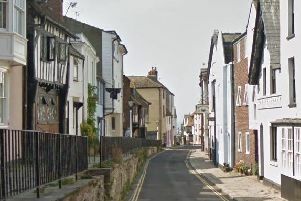 Police responded to an incident in Hastings last night and have today confirmed that the incident was medical related. The Observer was alerted to the incident by a Hastings resident last night, who said he saw a number of police vehicles near the seafront and White Rock Theatre. A spokesman for Sussex Police confirmed last night that officers were responding to an incident, but could not reveal any further details. A spokesman said today: “Officers responded to a medical incident at 6.18pm, in West Hill, Castle Hill Road. The spokesman confirmed no other emergency services attended the incident.